The Government is awarding more than £6m in funding to 17 local authorities across the UK to help support the shift to ultra-low emission taxis. The announcement was made today (5 February 2019) at the Smart Transport conference by the Future of Mobility Minister and will see almost 300 rapid chargepoints and 46 fast chargepoints installed for ultra-low emission taxis in 17 local authorities, including in Greater Manchester, Brighton and Hove, Leicester and the north east. The funding is intended to help with the delivery of the Government’s Road to Zero strategy. 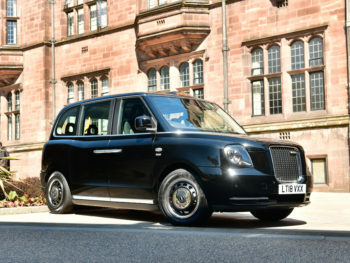 It’s estimated that more than 800 ultra-low emission black cabs and more than 3,000 ultra-low emission private hire vehicles will benefit from the new chargepoints. Jesse Norman, Future of Mobility Minister, said: “The Government wants all new cars and vans to be effectively zero emission by 2040. Getting the right infrastructure and investment in place is a crucial part of this.